Good, as I have another beautiful one to share! 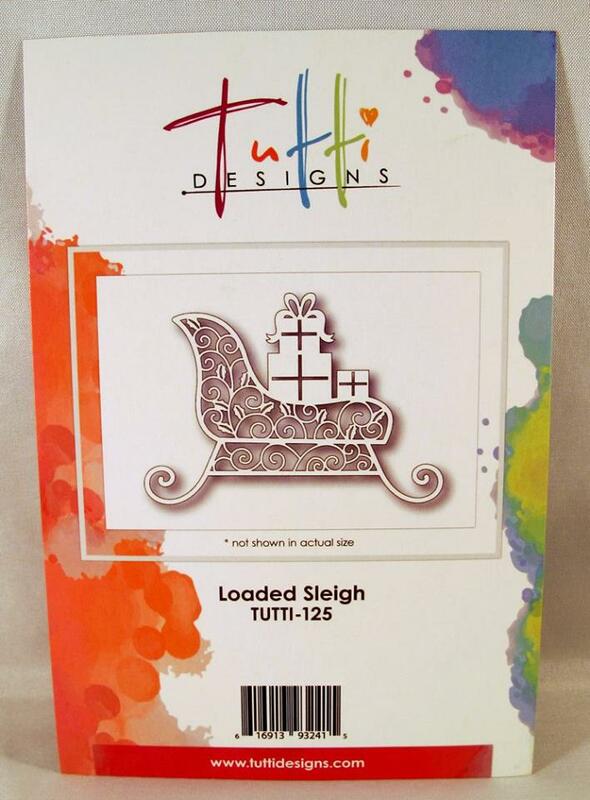 It's the 'Loaded Sleigh' die. Very intricate and delicate design! then cut the die from an embossed red and gold foil paper. Rather elegant, don't you think? I adhered the sleigh to a kraft card stock panel. then embossed with a fine gold detail embossing powder. A few sequins were added for additional bling. The panel was them mounted and slightly 'popped' up on the card base. visit the new Tutti Designs dies. "I" will be here each and every Thursday!! Come back tomorrow for more fabulous inspiration! FABULOUS! Both the design and the fact that it's nicely mailable! What a clever & beautiful design idea! Thanks for inspiration! 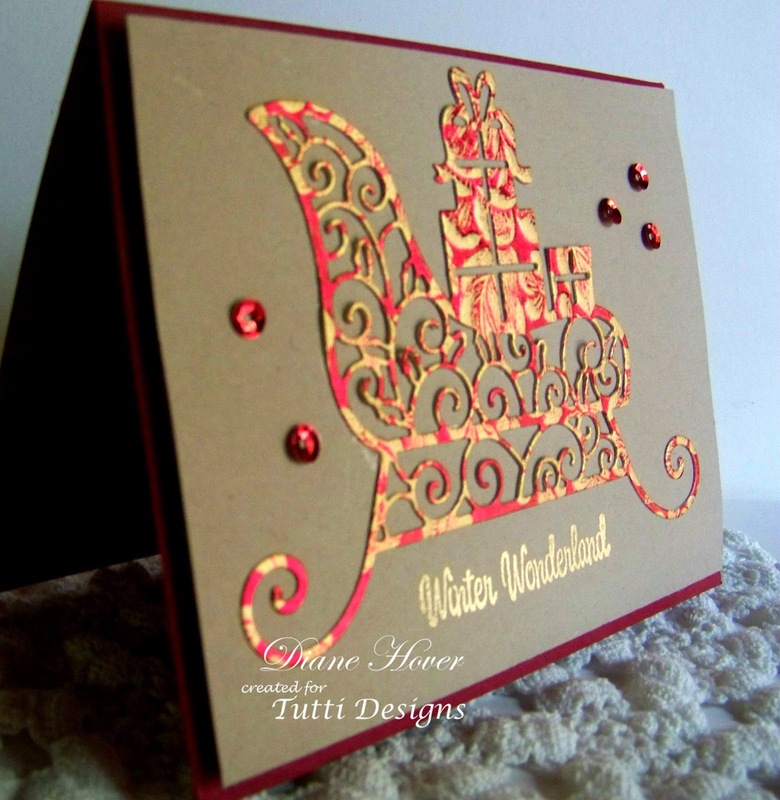 Love the red and gold foil for this sleigh. Very beautiful. 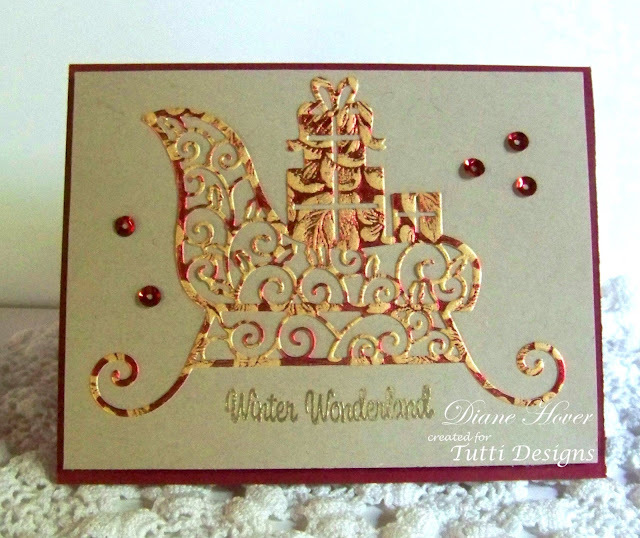 Beautiful card design Diane, love this sleigh die. Get Out Those Mittens and Hats . . .
Tutti Holiday Lamp Post to Summer Lamp Post. Tutti Designs Poppy Edge Die, a little shabby. Make it Sparkle . . . Happy Halloween with Tutti Elegant Cornucopia. The Owl Family by moonlight.